For so many families, August is a month of change. It often starts with one last summer vacation followed by the rush to secure school supplies and a flurry of back-to-school activities. 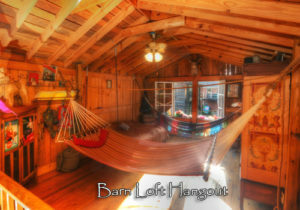 Then in a flash, the weather is changing and people pack up flip-flops and beach towels and pull out boots and scarves. There’s a lot to look forward to this month. Read on for some of the highlights. This year Labor Day is Monday, September 3. Now is the time to reserve your three-day weekend stay at Rosevine Inn. Escape to the 1930’s in our Music Legends Room with an antique full-sized bed, wingback chair and historic touches throughout. Let Bob the Butler take care of the details of your stay while you enjoy the hot tub, free Wi-Fi and legendary breakfast. If you prefer mystery and adventure, book our Sherlock Holmes Suite with a rock fireplace, formal dining room and clues that lead to a special treat. All rooms have private baths, luxury robes and opulent oh so soft sheets. It’s likely to be hot. Don’t forget to take plenty of water and hydrate while you shop. Dress for comfort. There’s a lot to see, and you don’t want your shoes to slow you down! Allow time for shopping outside of the First Monday grounds. Downtown Canton has great antique and craft stores. If you have a wagon or cart, take it along for large purchases or children who get tired of walking. Plan your girl’s getaway weekend and shop till you drop. Score vintage clothing for your fall wardrobe. Update your home’s interior whether your style is Bohemian Chic, urban or rustic. 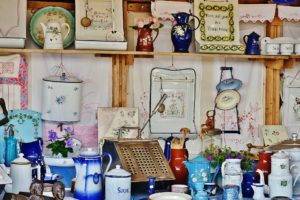 Whatever you’re looking for, you’re sure to find it at one of the 7,000+ vendors in Canton. Get Your Tickets to See The Bellamy Brothers August 16! American pop and country music duo David and Homer Bellamy are coming to Tyler’s Liberty Hall Theater on August 16. 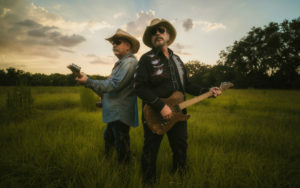 The Bellamy Brothers are known for number one hits like “Let Your Love Flow,” “If I said You Had a Beautiful Body Would You Hold it Against Me,” and “Redneck Girl.” Rolling Stone Magazine ranked their hit “Old Hippie” as one of the top 100 greatest country songs ever. The Bellamy Brothers perform as far away as Dubai and Sri Lanka, but in August they’ll be in East Texas. Tickets aren’t available through the Liberty Hall website. To purchase call (866)710-8942. Liberty Hall also presents Daily and Vincent in concert on August 3. On August 11, Sgt. Pepper’s Lonely Bluegrass Band performs top Beatles hits starting at 8pm. The Arcade at Grand Slam is open to the public now. The rest of the facility is scheduled to be open by the end of the year. The bowling alley will have 22 lanes, six of them with lounge and bar areas. The arcade expansion will offer virtual reality and a ropes course. There will also be a fine dining option with award-winning Executive Chef Rick Neal. When the American Film Institute (AFI) selected the top 25 musicals ever created, “Singin’ in the Rain” was at the very top of the list. 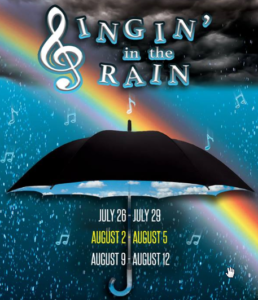 Tyler Civic Theater is performing the musical now through August 12. The musical-romantic comedy tells the story of a silent film star and his shallow leading lady when their studio presents them as romantically involved for publicity. The silent film production company struggles to transition to movies with sound as the characters struggle through falling in love. The 1952 movie featured Gene Kelly, Donald O’Connor and Debbie Reynolds. The Tyler Civic Theater performance brings every unforgettable scene and song to the stage instead of the big screen. Get your flex tickets online and use them for any show. 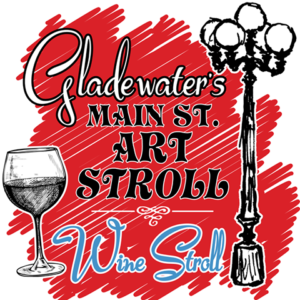 Saturday, August 11 between 12 and 5 pm, visit the Antique District of downtown Gladewater for the 8th annual Main Street Art and Wine Stroll. Buy a wristband for free wine and food tasting or purchase a general admission ticket and pay additional $1 tasting fees. Admire work from local artisans, enjoy entertainers like Andrew and Kate Kirby and Bobby Harland and sample wine from Bella Stella, Della Terra Farm Vineyard and more. Friday, August 3 at the Kilgore City Park Amphitheater you can dance under the stars — the celestial ones in the sky as well as the neon stars on Kilgore’s derricks. TEAZUR offers an energetic live music performance that starts at 8pm. If you miss that performance, sister duo The Purple Hulls perform Friday September 7. Take a train ride for excitement and romance when you reserve a seat on the Texas State Railroad train. Relax in a 1920’s car for a ride through the Piney Woods to the Rusk or Palestine depot, where you’ll have an hour to snack and shop before your return trip. 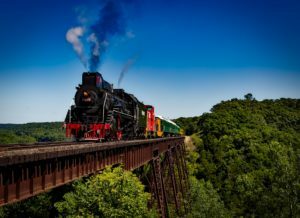 Ride in the open-air coach with vintage wooden seats, in the plush caboose with a personal valet, in first class with complimentary appetizers or in the Pullman-style coach car. The summer season runs through September 29, then the trains briefly close to prepare for the winter Polar Express. Rosevine Inn Bed and Breakfast and Extended Suites provides the closest available lodging for downtown Tyler events and puts you in the middle of everything the area has to offer. Book your guest room or extended stay suite today. This entry was posted in Uncategorized and tagged Canton Trade Days, Liberty Hall-Tyler, Music in East Texas, Rosevine Inn, Shopping, Tyler Civic Theatre, Tyler Things to do by Missy Ticer. Bookmark the permalink.